The Charlie Chaplin cocktail is definitely for when you have a sweet tooth. 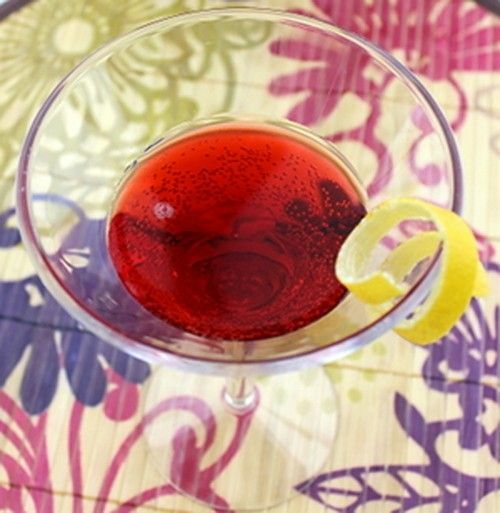 The ounce of lemon juice cuts the sweetness of the sloe gin and apricot brandy somewhat, but not completely. The dominant note in this is berry – that’s followed by the lemon, which is followed by the apricot. It pairs well with salty snacks, like nuts, pretzels or corn chips, but the drink’s flavor is so strong that it tends to dominate anything else. Fill a cocktail shaker with ice and add ingredients. Shake, and strain into a martini glass. Garnish with a lemon twist.